The Last of Us: Left Behind DLC Review – AiPT! The add-on takes place between the Fall and Winter acts of The Last of Us. With the main protagonist Joel wounded and barely alive, his sidekick Ellie sets out to find medical supplies. While she’s at it, she has flashbacks of the night she and her friend Riley got infected, showing us how it all began for the teen. While the two side stories themselves are great in their atmosphere and differences from one another (see below in gameplay description), the parallel pacing doesn’t work in their favor; it’s confusing to crawl carefully through snow and infected at one section, only to have the game expect you to be making all kinds of noise in the next. If you can look past that, though, the great writing and subtle differences between little girls having a fun night and a mature teen trying to save her mentor create a very rare experience. One other sore spot is that the flashback story feels unfinished. But how exactly so I won’t spoil. These differences play even a bigger role in gameplay. With Riley (Ellie’s friend) you will mostly walk around, throw bricks at car windows, fight with water guns and otherwise play and have a post-apocalyptic equivalent of a girls’ night at the mall. 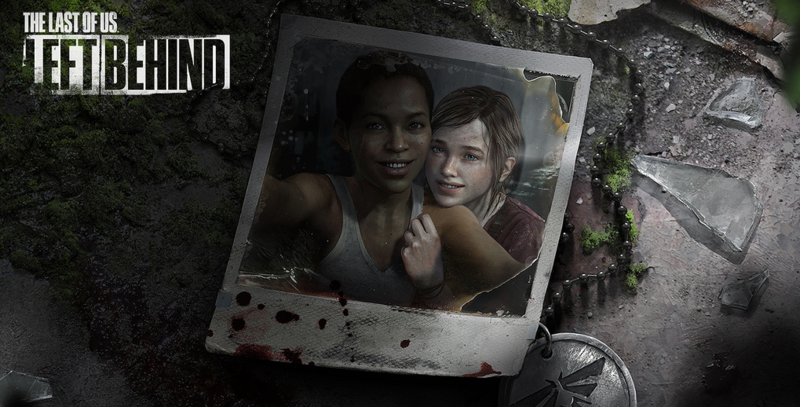 Alone you’re back with TLoU’s roots – careful crouching, tactical combat, resource management and so on. The contrast is stark and confusing, especially the first time you play. Not having a weapon in the flashback sections takes away from the relaxed tone, since you’re so used to be ready for combat at all times in the main game. And just as you feel ready to have some fun, you’re back alone fighting the infected. Since this is DLC, there’s not much to talk about in terms of presentation. If you liked TLoU’s decaying urban landscapes and malls, you’ll feel right at home. They look and feel used, old, unsettling. The ambient sound always has you checking for threats, even though when they come, you’re never ready. The voice acting is stellar as always, although yours truly failed to see why Troy Baker was credited with voicing Joel, since no new lines of dialog are heard from him throughout the 2-hour experience. Is Left Behind a good enough reason to dive back into the cordyceps-infested USA? It depends. If you’re able to look past questionable pacing, conflicting tones of the segments, unfinished origin story and short completion time, then download Left Behind right now. If not, it’s best to hold out for a sequel. It’s a dangerous world in there. Reviewed on: PS3 Slim 160 Gb, Acer S235HLbii 1080p Monitor.